Flickr has just added support for geotagging (see Wikipedia entry on geotagging), so you can now add your photos to the exact location on a map where they were shot. 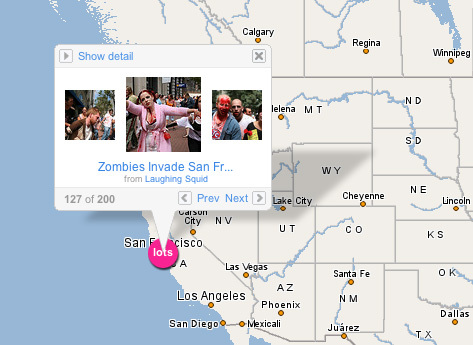 You can look for locations of photos on the new Flickr map. For more on this new feature launch, check out TechCrunch.